Oh my… 😦 It baffles me that even with these stats that people still think climate change is a hoax. It’s very easy to understand. So many folks get all their knowledge about the world from the fake news channel. it’s a wonder they believe (grudgingly I’m sure) that the earth is round! Sometimes, the hard work goes on off stage. That’s what it can take to make the complex stuff look straight forward. Berman was off again bashing the Humane Society this week. WTOP fibbed when they told me they were keeping him off the air. Ad money is serious moral hazard. The Humane Society!? Jeez! It seems like the fake conservatives are hell bent on destroying all civil society until the poor and middle classes are dependent solely on mammoth monopoly corporations for all our daily needs. Big ag and the restaurant industry doesn’t like the animal welfare laws HSUS puts out. So they hire people like Berman to slime them. If there’s a good cause in this world you can find a powerful business interest that has directly opposed it. The dark game, on that side, appears to be direct pushes to profit from harm. Apparently, these folks have given up on making better products and actually improving people’s lives and instead focus on bullying people to force them to buy crap. Ed-M – I noticed this in Australia too. – All kinds of civil society organisations from legal aid to charities to arts organisations and public broadcasters are having federal funding cut and/or being demonised by conservative politicians and the press. At the same time there are efforts in multiple areas to impose direct political control. On a completely different note, I see some cold water upwelling about PNG/the Indonesian archipelago that should reinforce ElNino once it reaches the surface. The hot Indian Ocean seems to have been keeping a bit of a lid on ENSO ocean-atmosphere coupling so far. 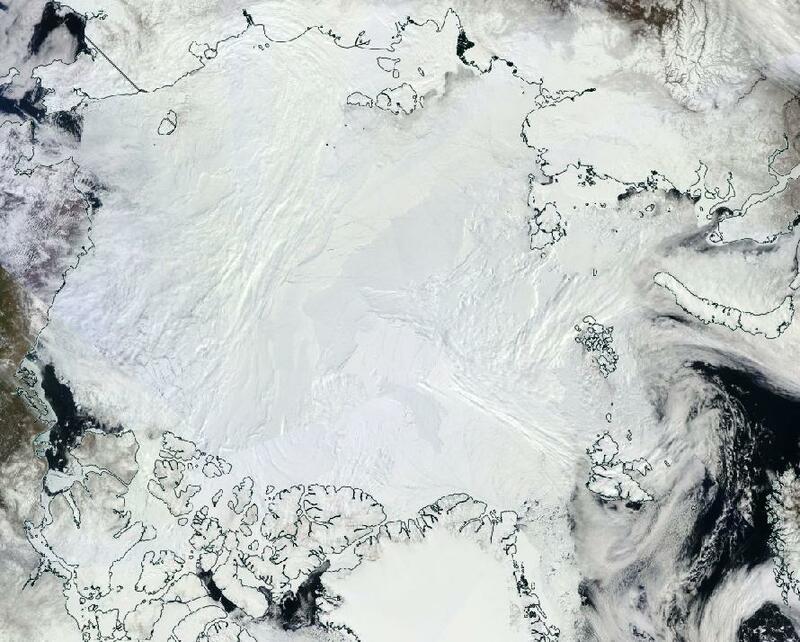 If one zooms in on the modis daily image and looks between Alaska & the NWT, especially off the MacKenzie delta ( http://www.arctic.io/explorer/8/2015-05-21/7-N74.54486-W134.51224 ) you can see the ice fracturing and the fractured expanse reaching further into the cap daily. You can also see the open water expand, again daily. The tail end of the MacKenzie in the delta has some residual ice, the balance of the river up to Great Slave Lake is clear of ice. Open fires were banned 2 weeks ago due to the lack of ground moisture in Hay River. The darkness of the open water is such a scary contrast to the ice. You said it, Griffin! Thank you. Thanks for that. It strikes me how very little snow remains on the ground through most of the region. That’s a huge albedo feedback, too! Somebody over at neven’s blog last year worked out what seems to have been the most accurate prediction tool for predicting final ice melt levels and it turned out the most important factor was level of snow melt in on the surrounding lands in early June, iirc. Yeah, just when you think you’ve got something figured out about the Arctic, it tend to do something different. This is from 2012 to compare some numbers with. Interesting that in 2012, -150sqkm was considered a massive daily loss. This article, which we discussed here back when it was released, keeps coming back to me as I look at the image of the open water. wili, I had heard that May-June melt-ponding had replaced early-season land-snow-loss as the #1 predictor. And, although Robert agrees with this, I had understood that early season melt-ponding was in turn correlated with sunniness/hi-pressure systems, whereas Robert is attributing the melt-ponding this year to warm air temperatues. Robert, could you comment on these things, and is there formal research that you refer to or are you going by the available satellite pics, weather reports, etc? What I mean to say is, for there to have been a correlation, there must have been quantification of melt-ponding. How close to real time is that data made public and is that what you use for your current projections? I think I found us a nice big forest fire in Northern Alberta. This fire is to the west of High Level. btw: the big fire in BC is at 25,000 ha. Russia Forest Fires – you can see burn scars quite clearly. From that GFS forecast for the 29th, it looks like here in northern Colorado may be colder than much of the Arctic Ocean. We’ve had a great deal of rain and some snow this week. Yet three years ago on this date, we had already seen the Poudre Canyon fire and the High Park fire was soon to come. Now everything is soaking wet and an arsonist would stand no chance. I remember from the early ’90s, when I still lived in England, hearing Peter Wadhams talking about the thinning of the Arctic ice, IIRC from about eight feet in the ’60s to five feet, and also reading about Arctic amplification. Then along came 2007 and some rebound, then 2010/2011 near record lows, before 2012 blew through the previous record. Then we heard the wistful thinking of 2013 and 2014 being the start of a rebound. Is 2015 going to be the year that the Arctic chickens really come home to roost with a massive helping hand from a strong El Nino? Not a good trend at this time, Syd. We have about two to three weeks of window for a weather switch to come to the rescue. Problem is the pattern seems quite entrenched and the way the Arctic is responding to the prevailing Synoptics seems to be reinforcing it. Looks like the cards may be lining up on Wadhams’ side of the table. Going by historical records, ElNino really does not mean much for the sea ice state. “The Blob” in the North Pacific on the other hand, I’m not so sure about. In the past decade, summer El Niño has statistically shown a teleconnection to enhanced warming of said blob. Same for mid ocean events. But maximum heat transport into the Arctic seems to occur about 1-2 years after the El Niño signal. 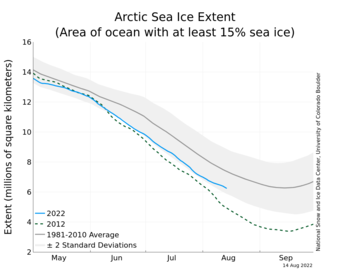 Wasn’t this the year that Peter Wadhams predicted would go ice free in the Arctic and took same verbal abuse for? Originally, yes. He’s subsequently backed off to 2017. Robert, what is more relevant at this point of the melting season, extent or area? Trend and velocity are most important. Any new record lows in any measure with new measures picking up the trend. Area is important as a more complete measure of surface ice, extent is important due to zones of more contiguous albedo loss, and volume is important as a measure of overall ice state. Worth noting that accuracy in the volume and area measures is not quite as refined as extent. These predictions are so unhelpful. They simply provide the denial crowd with drivel to quote and use as “evidence” of their perceived conspiracy. 5 or 10 years to the left or the right of a prediction does not discredit the trend. Approximate percent risk and melt warnings are more helpful, certainly. There’s a fair chance we see zero or near zero conditions pre 2020, depending on a number of factors, not the least of which is Greenland melt response. When we are this close to an ice free arctic sea ice season, it is just semantics to debate which year will be THE first ice free summer. The trends are clear and obvious. The ice can’t last much longer and letting too much energy go into arguing the exact year is just counter productive. I sometimes feel the same about glaciers. I know there is a lot of work going into the science of how glaciers melt, but I can’t help be observe that many conclusions are self evident on the face of them. What ought to put fire in our bellies is the reasons for glacier melt and sea ice melt. How ice melts is interesting, but really not going to change anything. Science needs to learn how badly the feed backs could blind side us. So I generally agree with Andy. The trend is clear, a hit or miss over or above the time line is just noise in my opinion. And yes, every time a prediction misses, the denial crowd piles on like crazy and FOX news blares the minor blip like it disproves all the relevant science. And I agree also. Communication on this issue is very important, and the climate science community still doesn’t fully appreciate that. Getting better, but of course, not fast enough. One thing to consider is the difference between pure prediction and tracking potential events. If risk is higher given a trend, then the public needs to know. If we simply keep our heads down because of message pressure from climate change denier PR and advertising campaigns, then all we end up doing is reporting events after the fact. Not helpful at all. Forecasting, though having a decent risk of a miss, is essential in the current environment. I think the focus should definitely be on trend, and the backing data. Allow the consumer to view the trend and draw their own conclusion. The validity of the data is key, an understanding of signal noise is essential, the rest follows. Today’s great headline from Climate Central, on the same story: “Study: heat waves are not as deadly as has been assumed.” This while hundreds die in India. Dangers of extrapolation methinks. Extrapolating arctic sea ice volume back in 2012 gave 2015 as the best estimate of a first time ice free arctic and a 95% confidence of it happening between 2014 and 2017. The danger is of course that being purely mathematical it doesn’t take the changing conditions into account. While interpolating a natural series (ie. not completely random) gives a nice fitting curve most of the time and it’s easy to spot trends that way, extrapolating on that basis is always hazardous. Here is an example of me interpolating the arctic sea ice minimum extent with a second order polynomial. Extrapolating on that it would look like the best guess for an ice free arctic would be the year 2034. 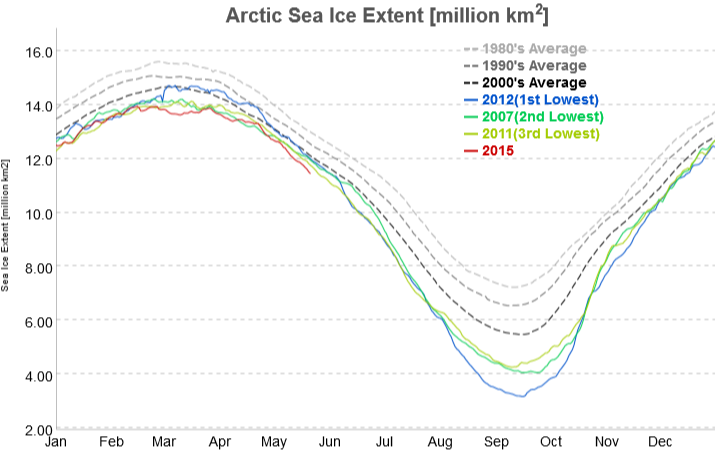 I only included the error bars for this year’s extent but we wouldn’t be ice free until mid 2020’s by the earliest. Even though there is less room for instrumental uncertainties in the extent figures the volume extrapolation gives much better guesstimate since extent treats 3 yard thick multiyear ice the same way as cracking one foot ice. The best we can hope for is a result somewhere between but judging by math alone I will be surprised should the first ice free event happen after early 2020’s. I have no idea how to embed pictures in the post, lol. Anyone care to give a hint? An interesting Poll. My take away is that one fringe is disproportionately loud and has decided to hijack the conversation on behalf of those they do not represent. And they have disproportionate representation for such a fringe view. Very unfortunate. I don’t know if it is just my luck or the people that I talk to, but I have a very difficult time finding the conversation about climate with folks (friends/family). I say climate change, even in the most casual way, and they clam right up. I really have not come across too many reasonable folks that have any opinion either way, or at least enough of one to mention the subject. This often makes me wonder, if they are not having the discussion, are they more apt to just be influenced by a single snippet of news that is likely inaccurate? Probably. Without discussion, there is no healthy exchange of thought, and that is usually a bad thing. Getting that exchange started, sure is a challenge though. I find younger folks are more interested in the science and what the trends are. I try to avoid the subject with most people as they are in denial or are part of the conspiracy crowd. When confronted by those that don’t reference data, trends or other items that indicate that they have looked beyond a media headline sometimes I find questions serve well. I get just the opposite reaction from my friends. They all pretty much shake their heads and say “we’re toast”. Still not the best response, because it’s a sign of resignation without the changes needed to avoid the expected outcome. Still, until my culture/civilization shifts to a survival stance I have to agree. On another note: Neal Stephanson has a new book out “Seveneves” in which he posits the destruction of the planet and uses the idea of a tipping point in an exponential process. Sounds a lot like where we are headed. “pissed off crickets pause” hahaha! Thank you for the great response Andy. Sad but true! Sorry, should have been Saskatchewan in Canada. Nearly every day I check the general news, the words “Record” are used with some or other weather event. That ought to tell us something. For the first time in Alaska wildfire history, the first lightning fires of the season were detected in Southeast Alaska Thursday in the Tongass National Forest. Neither fire posed a major problem but we thought it was worth mention, given that much of the Tongass is considered a rain forest. SaidAlaskan Division of Forestry 10 hours ago on Facebook. Alexander, thank you for posting that video. I can’t imagine my local TV station running a Science segment that describes the speed of Antarctica’s ice loss. The local TV weather people don’t ever, ever mention climate change. TV meteorologists are forbidden to talk about climate change, because they will get complaints from ignorant viewers. And most TV weather forecasters are climate change deniers. One really minor caveat about the video – ice melting that’s actually already floating does not add much, if at all to global sea level rise. It’s all the new ice flowing down to the sea as a result of the ice shelf collapse, as the glaciers accelerate their flow that will add to sea level rise. And those glaciers are accelerating a lot. Lake Mead is at 1075.13′, down 1.65′ yesterday. Powell is getting good inflow atm. Perhaps we’ll get enough there for the hail Mary refill this summer (like what was done last summer). The late season precipitation the past 2 weeks has given us this gift. That 1.65′ drop in elevation at Lake Mead has got to be a measuring error. The outflow from Lake Mead is at about the same level as it has been for the previous week (around 13,000 cfs) and the release from Lake Powell has been pretty steady at 11,500 cfs. I’ve had my eye on these water-data pages for years now and I’ve never seen anything like the reported 1.65′ drop in Lake Mead for May 22. Hopefully we’ll see a rebound number of 1.65′ in the next couple of days. Definitely something not right, it has dropped by 6.38 feet today. Maybe it sprang a leak? Loosing 630 383 ML in one day would be quite some leak. Run on the water bank…..
…Without the water stored in Lake Mead so far by California, Nevada, Arizona and Mexico, Davis said, the surface of the reservoir formed by Hoover Dam would be at least 10 feet lower than it is right now. They want to get their water out of the bank before mandatory distribution rules go into effect in January. And like all runs on banks, once one does it, they will all do it. And on a 3 day weekend when no one is really following. Prior to these odd drops we were hovering just over the rationing line. But El Niño related trends are providing a bit of relief in the form of rainfall in some key states. That said, the Lake Mead data is showing a strange precipitous drop. Now at 8 feet in the chart. Errata? Or something odd going on? Perhaps Powell can come to the rescue? Yes, the data and the graph says Lake Mead is down 6.38 feet in one day. ?? Some sensor progressively failing? Even if a huge leak had developed, is it possible to lose that much water in one day? Either the data is wrong, or something very out-of-the-ordinary is happening at Lake Mead. There was a sizeable quake in Las Vegas right at the time the level started dropping. Did the ground crack open? That kind of decrease ought to be obvious to the naked eye. We’ll see what the measurement is tomorrow. Yes I was wondering about the potential for enhanced earthquake activity the other day as I’m reading Bill McGuire’s book at present. California’s water deficit must have removed a considerable weight from that area. “Arctic Warm Air Invasion Forecast to Continue”, sadly, this will happen as it has been happening for some time. It it an important headline for all media. Its impacts will be severe and far reaching. Ps Possible edit last paragraph: “measures with [will] continue”? I was perusing the daily satellite image from yesterday whilst having coffee this morning. While I was looking through notable features on Greenland (such as the outflow from Jakobshavn Glacier. I took a look at Petermann Glacier and took note of what appears to be a large crack or an image anomaly. I zoomed in max, copied the image, pasted it into an image editing program and did an edge detection. Low and behold it is a giant crack. On this perma link to the location, the reference point you should look for is the large feeder on the right hand side of the outflow. There are 2 Y shaped feeders, the one to look at is the one further inland (with the thicker base of the Y). Now look at the inland edge of that feeder, and the main outflow. You will see a faint blackish line running about 50% of the way across the main outflow (it looks like what you would see if you had a hair on a camera while taking a picture). That is a giant crack forming across the outflow. It is roughly 18 miles between the crack and the calving face (I did a rough measure using google maps). If you want to examine further, print screen that and paste it into an image editor where you can filter, zoom further etc…. Link to what I am talking about…. I have a zoomed filtered image of the crack on my computer. It is very apparent and actually you can see it extends further than 50% across and you can see it’s formation all the way to the other side of the channel. If anyone is interested I can put / post / share it. …Under the program, known as Medea, the CIA had allowed civilian scientists to access classified data—such as ocean temperature and tidal readings gathered by Navy submarines and topography data collected by spy satellites—in an effort to glean insights about how global warming could create security threats around the world. In theory, the program benefited both sides: Scientists could study environmental data that was much higher-resolution than they would normally have access to, and the CIA received research insights about climate-related threats. …Francesco Femia, co-director of the Center for Climate and Security, said it is usually impossible to know whether any particular study includes data from Medea. “You wouldn’t see [Medea] referenced anywhere” in a peer-reviewed paper, he said. But he pointed to the CIA’s annual Worldwide Threat Assessment, which includes multiple references to climate change, as a probable Medea product, where the CIA likely partnered with civilian scientists to analyze classified data. So, does the loss of publication have an effect on overall research or not? Why would this operation be “shut down” — or is it the information access that’s been closed? I think the information has been closed down, but there’s a great number of continuing studies ongoing that may not have the perspective, but smart people that are drawing conclusions. “The Company” may have chosen to discontinue public or govt disclosure of their work to keep it from becoming politicized and interfered with. A forest fire in the Yukon. Look to the left hand side of this linked satellite image. For reference, the MacKenzie delta is on the left hand side. Astounding number of fires around the lake. If you pan west, you see even more breaking out. That is horrifying Alexander, it looks like the entire region is on fire. I can’t imagine there are enough assets to get that number of fires under control. Yes, this region has had lots of fires, starting in March. Looking back, it looks like the last part of March was bad, and around the 13th of April was also a bad time. Thanks for the video. These are massive fires – some of the burned areas are 20 miles wide. In April, The Associated Press reported that huge amounts of water went missing from the Sacramento-San Joaquin Delta and a state investigation was launched. Is that due to atmospheric loading of moisture? That is my assumption, but would like someone to verify who has looked into this. Sorry, don’t understand. How would you know, one way or the other? I assume it would just be a probability estimate, based on past records? If you look on Climate Reanalyzer, take a look at the Preciptable Water. It could just as well be the remnants from last weeks rain on the west coast too. My guess was just a swag. But it’s like the perennially resurfacing Trenberth quote, no? Every event takes place within the background of a warming climate, and a warmer atmosphere holds more moisture. As I remember it, the atmosphere maxes out at aprox.10% moisture content. It should follow that there is a continual cycle of GW induced uptake, and release. What goes up (Ha.) must come down — somewhere. Sorry all for being the only person loading up the comments today, it’s like comment spamming. Didn’t stop to consider that. Yeah… Colorado Bob is missing a bit. Every comment you make is worth reading Andy. Keep em coming! In Texas, Wichita Falls and Corpus Christi received unprecedented levels of rainfall for May, making it the wettest month on record for both cities. Oklahoma City was on track to eclipse the record for the wettest month for the area. As of May 22, 14.46 inches of rain had been recorded just shy of the record 14.66 inches recorded for June 1989, Weather Underground reported. Oklahoma City experienced the wettest month it has ever recorded as rain continued to fall, according to CNN meteorologist Sean Morris. By late Saturday, 3.15 inches had drenched the city, bringing the total for the month to 17.61 inches. “It … shatters the all-time monthly record of 14.66 inches set in June of 1989,” Morris said. The Blanco River rose more than 33 feet in just 3 hours in Wimberley, Texas, reaching a level more than 27 feet above flood stage at 1 a.m. Sunday. This broke the all-time record crest from 1929 by nearly 7 feet, before the river gauge stopped reporting. Wimberley is about 25 miles southwest of Austin. Emergency management reported residents were trapped on rooftops due to the sudden rise in floodwaters. Officials opened shelters to house those forced from their homes by the swollen river. Jeez, Alaska is in a dire straits this year. 2 fires now to the west of High Level Alberta. Some are very large with related cloud formation involved. NWT is the new Siberia? Interactive fire map for Siberia. Exports to Google Earth, but would be a lot more useful for somebody that speaks Russian. It says the fires around Chita have been burning since the 29th of March and have burned about 200,000 ra, which is I think 200,000 hectares or 2000 square kilometers. Could be wrong, though, since I don’t speak Russian. Clicking the buttons for the cumulative area burned from the first of March until the present is kind of horrifying. It looks, realistically, like maybe 5-10 percent of the total area of wide swaths of Siberia have burned. We’re talking maybe 10,000 square kilometers or more, I think. The link I gave above for the interactive fire map of seems to be blocked by the server. Then click on the right hand link under the picture of the helicopter that looks like a folded up map. Lake Mead dropped 8 feet in the last 2 days. 1.65 on the 22nd, 6.38 yesterday. That’s an odd one, Jack. ZeroHedge on the precipitous plunge – ‘correlated’ with a nearby earthquake. “A 4.8 magnitude earthquake (originally reported 5.4) shook Las Vegas and surrounding areas Friday morning causing roads and bridges to be closed. The quake went little-reported outside of local news (since there was at first glance minimum damage caused) but, since the quake’s occurrence, something considerably more worrisome has occurred. The outflows are not through the roof. I wonder if they opened up the “third straw” for Vegas and it began filling. Third Straw being the water supply tunnel they drilled to under the lake. An inflatable dam in drought-stricken California was damaged on Thursday, causing the loss of nearly 50,000,000 gallons (190m litres) of water. Police said vandals caused “irreversible damage” to the inflatable dam in Fremont, a city in the San Francisco Bay Area. 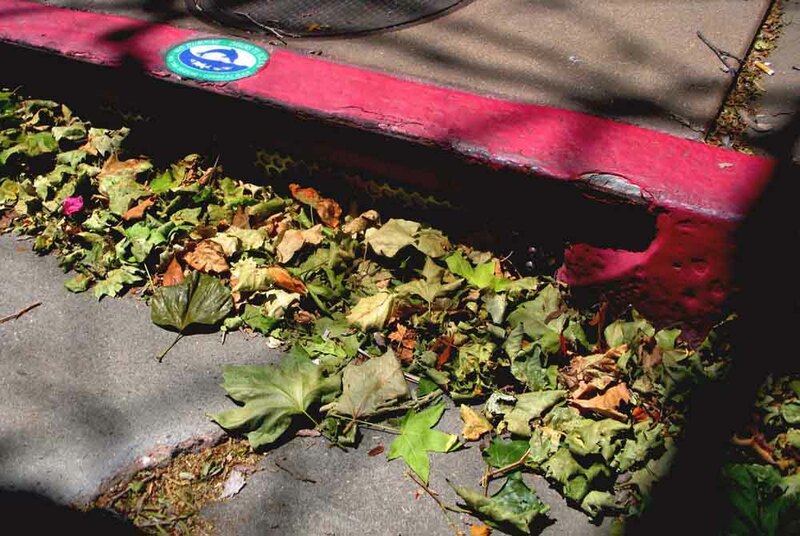 The vandalism caused water meant for local residents to instead flow into San Francisco bay. The Alameda County water district said the lost water could have supplied 500 homes for an entire year. Police said that the vandals entered a restricted area on Thursday and intentionally damaged the dam. By Saturday, no one had been arrested in connection with the incident. I have not found any references on the Southern Nevada Water Authority site or elsewhere regarding filling the new 3rd intake. I’ve found references that it will be online summer 2015. Perhaps they have opened the intake to the lake and the balance of the work (1 or 2 months) would be validation and final prep. If they have opened it to the lake, that would explain the ~8 foot drop in the past 2 days. Inflows & outflow do not explain it. Only other possibility is the measurement equipment being either fouled, or cleaned. Remember too that the entire water C. River storage system throughout its history has been akin to a “shell game”. Plus all projections were based on abnormally heavy river flows when the H2o was allocated, and the various storage dams were planned. 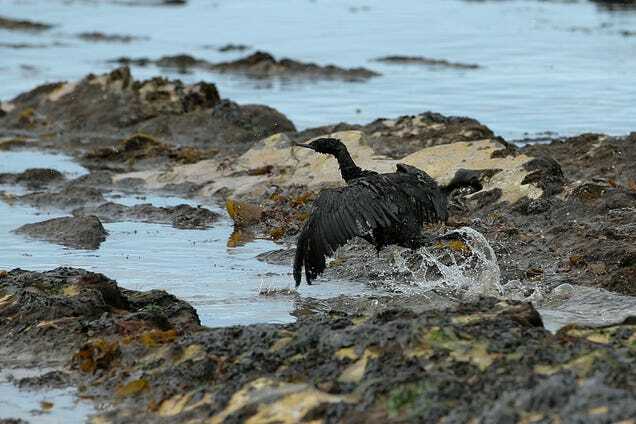 Crude oil from a ruptured pipeline at Refugio State Beach in Santa Barbara has moved south to Coal Oil Point Reserve, where threatened Western Snowy Plovers are in the middle of their nesting season. The Santa Barbara Audubon Society, which has been working closely with the reserve on protecting the birds, is standing by to help in any way it can. – Santa Barbara, CA, “The Cash Register By the Sea”. This “resort” hotel below sits between the oil spill site and the Snowy Plover beach currently being threatened with oil coming ashore. Hotels in Goleta, 15 miles from the 21,000-gallon spill at Refugio State Beach, have also been answering calls from concerned visitors. 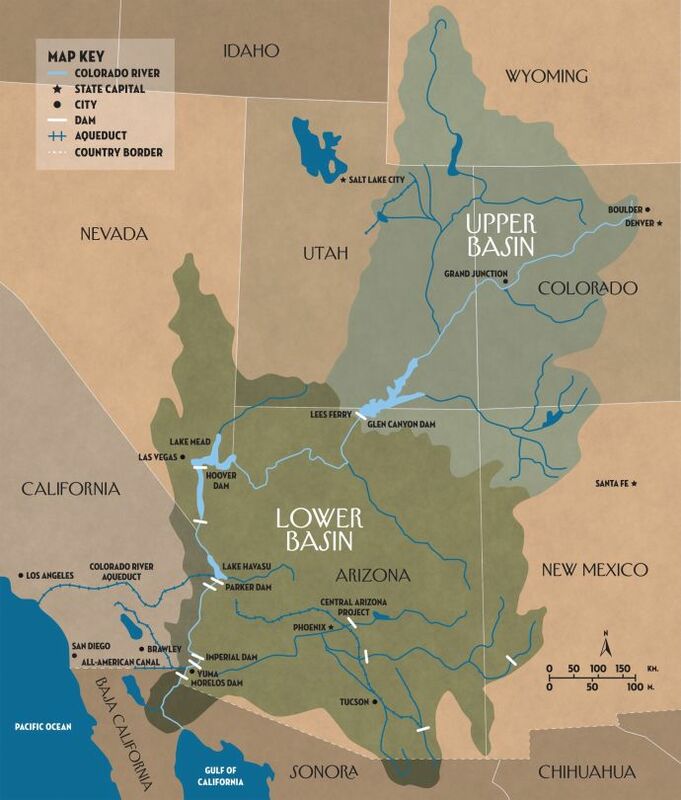 An excellent piece on the complex Colorado River, from treaties and how rights work to usage from the headwaters to the end. If you are interested in the Colorado and the huge system of farms, cities and power plants it serves as well as how the rights work (and who is senior rights and where), this is very much a great read. Yukon’s hot, dry weather continues to shatters records across the territory as a heat wave enters its second week, keeping fire crews on high alert. 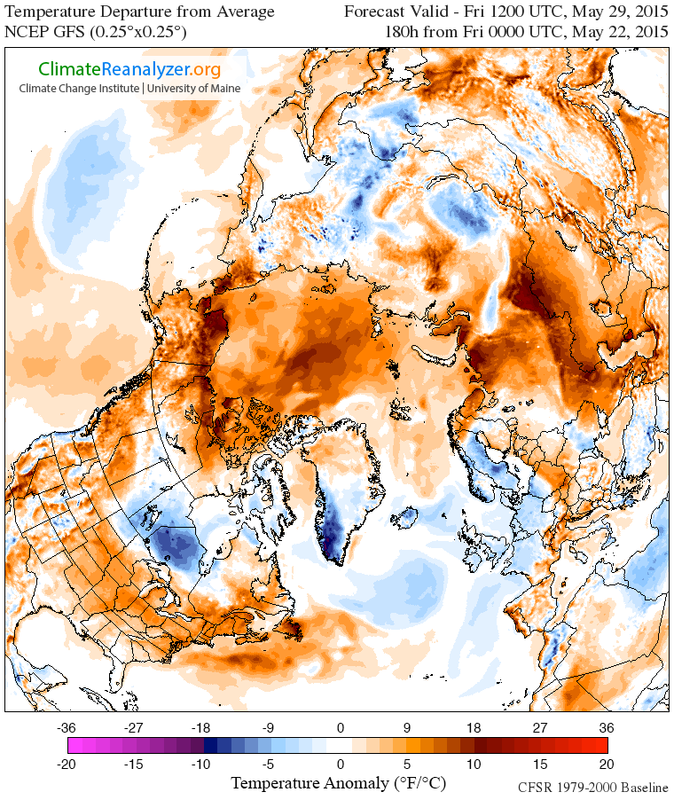 David Millar, a retired meteorologist based in Whitehorse, says temperatures broke records in seven communities Saturday and he expects further records to be set Sunday. California, Nevada, Arizona and Mexico have all “banked” water in Lake Mead and have the right to withdraw it (until restrictions are placed in January 2016). What better time for a “run on the bank” by those parties than a long holiday weekend. The way it works is that if they don’t get it before the 1075′ restriction are put in place for the new water year, they lose it. Even in 1998 conditions were not like this……. According to the BuRec, the current elevation of Lake Mead is 1077.49 feet above MSL. It would appear that the precipitous drop shown on the private website lakemead.water-database.com is in error. Thanks Ray for clearing that up! RECORDS THAT WERE BROKEN OR TIED. That Eagle Co-Op departure is just extraordinary. The Blanco River runs through both Wimberley and San Marcos, and it was swollen by nearly 10 inches of rain that fell Saturday night over neighboring Blanco County. KARACHI (Dunya News) – Muttahida Qaumi Movement’s (MQM) protest against water crisis in Karachi continued on second consecutive day on Saturday, Dunya News reported. Do you have any idea what these numbers do to permafrost ? Let me give you a hint. The haul road, to North Slope, has been washed out foe over 50 miles. North of the Brooks Range . It was 47f degrees at Barrow last week. Given the numbers this May The entire road will melt. And I mean, one can drive 4 miles , and 30 a foot hole 200 yards wide appears. The haul road will never be the same. The run off and rivers will be toasty too, and all that heated water will dump into the surrounding ocean. What little snow cover there is this year will melt (and higher in elevation) putting a lot of risk into the fire season. Those anomalies run all the way over to the MacKenzie. That is insane. Incredible sobering video. Thanks for sharing. ”Bubbles from lakes are one of the largest transport paths for the greenhouse gas methane to move between the land and the atmosphere, but bubbles are also the hardest path to measure. By linking methane bubbling with incoming sunlight, we connect methane bubbling to something much easier to measure, and something we can use to estimate bubbling over longer periods of time—both in the past and in the future,” says Brett Thornton, a researcher at Stockholm University, who led the study recently published in Geophysical Research Letters. – Interesting bits re from Grist: Ice free Arctic and June 2015 USN activities. In 2013, U.S. Navy researchers predicted ice-free summer Arctic waters by 2016 and it looks as if that prediction might come true. Recently, the National Oceanic and Atmospheric Administration (NOAA) reported that there was less ice in the Arctic this winter than in any other winter of the satellite era. Given that the Navy has been making plans for “ice-free” operations in the Arctic since at least 2001, their June “Northern Edge” exercises may well prove to be just the opening salvo in the future northern climate wars, with whales, seals, and salmon being the first in the line of fire. Tiny Cordova, population 2,300, is home to the largest commercial fishing fleet in the state and consistently ranks among the top 10 busiest U.S. fishing ports. Since September, when Stolarcyk first became aware of the Navy’s plans, she has been working tirelessly, calling local, state, and federal officials and alerting virtually every fisherman she runs into about what she calls “the storm” looming on the horizon. “The propellants from the Navy’s missiles and some of their other weapons will release benzene, toluene, xylene, polycyclic aromatic hydrocarbons, and naphthalene into the waters of 20 percent of the training area, according to their own EIS [environmental impact statement],” she explains as we look down on Cordova’s harbor with salmon fishing season rapidly approaching. As it happens, most of the chemicals she mentioned were part of BP’s disastrous 2010 oil spill in the Gulf of Mexico, which I covered for years, so as I listened to her I had an eerie sense of futuristic déjà vu. …The first hint of something unusual came May 31. On that day, the Alaska Lightning Detection System recorded 7,876 lightning strikes. June was a warm month throughout Alaska. 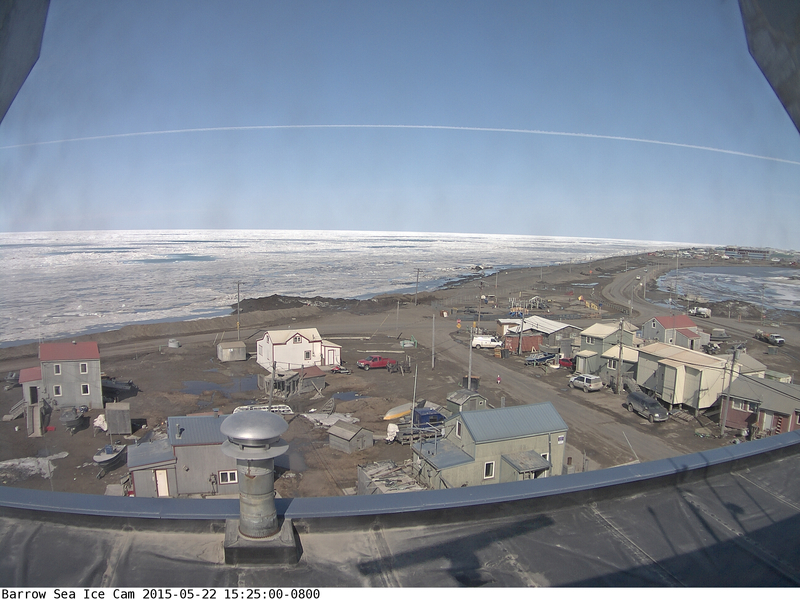 For example: Kivalina registered a temperature of 96 degrees F on June 29. The normal high for Kivalina, way north of the Arctic Circle on the Chukchi Sea coast, is in the low 50s. Temperatures in the Interior were 6-10 degrees warmer than the June average. In late June and early July came an unusual five days of dry winds wheezing from the Brooks Range and the uplands of the Yukon River. The fires, born of lightning strikes in May and June, “were fanned into conflagrations,” Richmond wrote. The firestorm of 2004 continued with a record 9,022 lightning strikes July 15. That summer’s total of 147,642 lightning strikes was more than twice the amount of any other year dating back to 1986. And it didn’t end in July. August is usually a wet month in Interior Alaska, when a change in the jet stream shoves moisture from the southwest between the Alaska Range and Kuskokwim Mountains. That mechanism seemed broken in 2004. Fairbanks had its driest August in more than a century of records. It rained three-tenths of an inch on the first day of the month, but not a drop for the next 30 days. Fires burned well into September that year. By the end of the 2004 fire season, 6.2 million acres of Alaska had burned. That broke the former Alaska record set in 1957, and not by a little. The 1 million more acres that burned in 2004 than in 1957 equates to a fire scar the size of Rhode Island. I think all the beer that the visitors over the weekend has finally been pissed out…..(j/k). – Robert and RS, pardon this off topic comment about aerosol pollution and our landscape. This rather macabre Hass Avocado sighting is offered as being instructive about the effects of solar radiant heat on plant biota exposed to chronic urban aerosol fallout. This also reveals extreme environmental oddities which go unnoticed by the public and its agents. I had been watching this site for some time after I noticed necrotic leaves and immature fruit falling from the crown, and onto a grassy area. This area is also “tended to” and cleared of deadfall on a weekly basis by a hired landscaping crew. You might want to compare notes with Gail at Wit’s End blog. She’s a tree person, too. If this image doesn’t will curb your appetite for guacamole nothing else will. This also begs the question what is happening to other produce that we consume? I have talked to Gail about this sort of thing before. Is that due to the pollution, locale change in climatic range or both? That is obviously unnatural and I am curious as to the cause (pollution poisoning, climatic shift or both). Actually it is all of the above plus a little more. Santa Barbara sits on a narrow strip of coastline that it shares with US Highway 101and its hundreds of thousands of private and commercial cars, trucks, motorcycles, power blowers and mowers, etc. (Heavy truck traffic from NAFTA added to this mix.) They all emit large quantities of toxic tire wear, asbestos, benzene, diesel soot, and heavy metal dust into the air. Plus a busy airport, a rail line, and marine shipping add to it. The air in SB got noticeably dirtier in 2007. The landscape showed black soot deposits in 2009, and I started documenting this in earnest. In early 2010 I alerted civil governments, agencies, media, etc. 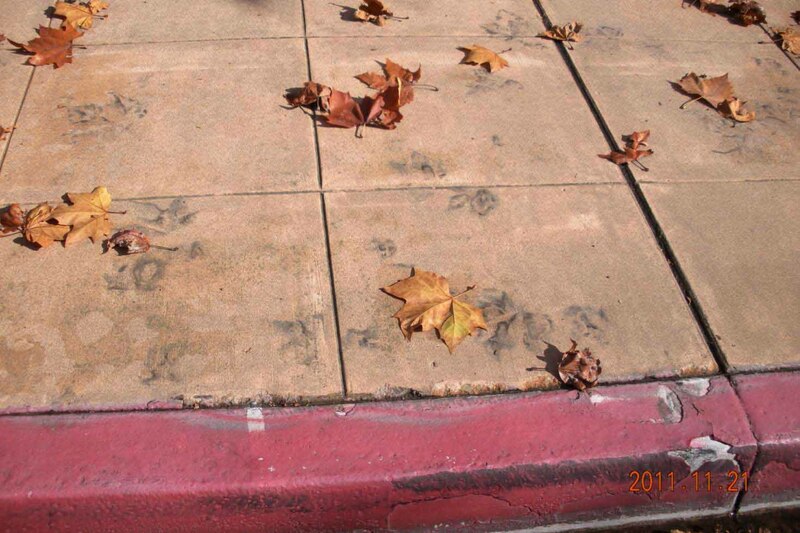 By late 2011 tree leaves easily fell, and left heavy soot prints or deposits behind. Then in early 2012 all hell broke loose. Trees that had dropped sooty leaves in the fall now dropped vibrant, yet baked and mottled foliage, in late spring. All through 2012 — figs, palm fronds, plums, citrus, oaks, and etc. 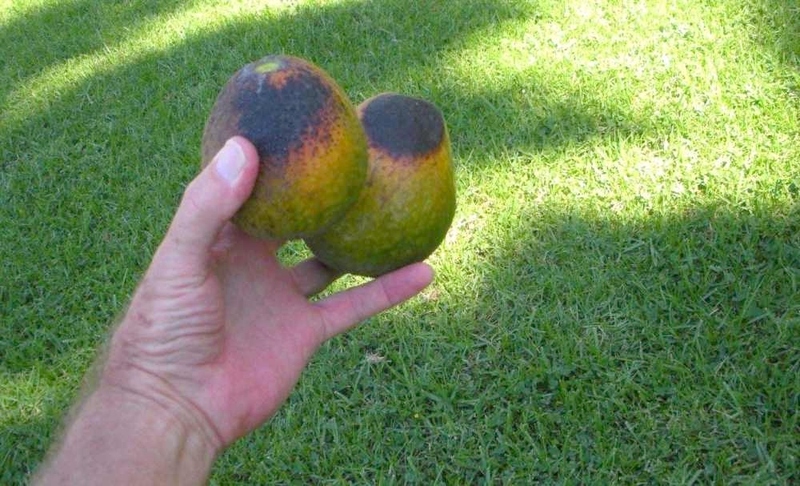 dropped fruit, or foliage, or seed pods and flowers. A lot of asphalt, that bitumen VOC paste became unstable. And much more. I figure that the pollution stopped being circulated over a wide area in the atmosphere, and it just dumped its load on SB. Further, what did not fall on land — fell into the ocean. I didn’t piece it together until recently. And I knew that “climate change” was happening but not the connection to what I was seeing. It is very important to note how very toxic and powerful this FF induced aerosol pollution really is. The damage it causes to all biota is staggering. These two photos above very near the blistered avocados. Same intersection of Sola and Chapala St.
“India is sweltering under a heatwave which has seen temperatures soar to 118F and left more than 500 dead. And the intense heat which has gripped northern and southern parts of the country looks set to continue this week, officials said today. 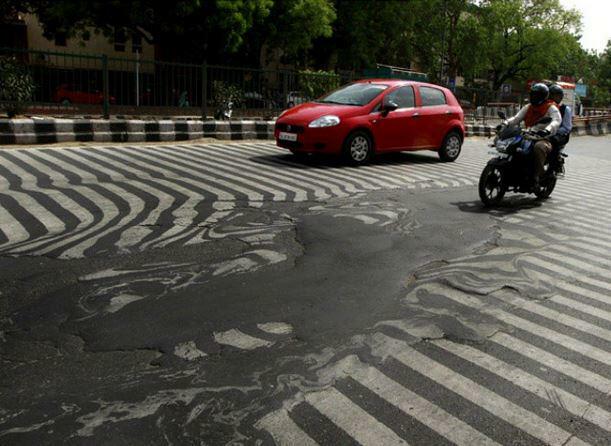 The hottest place in India was Allahabad, a city in the northern state of Uttar Pradesh, which saw mercury rise to 47.7 degrees Celsius (117.8 Fahrenheit) on Sunday, while the capital Delhi recorded a high of 43.5C (110.3F). India is up for a death dealing heat wave. No relief in sight. 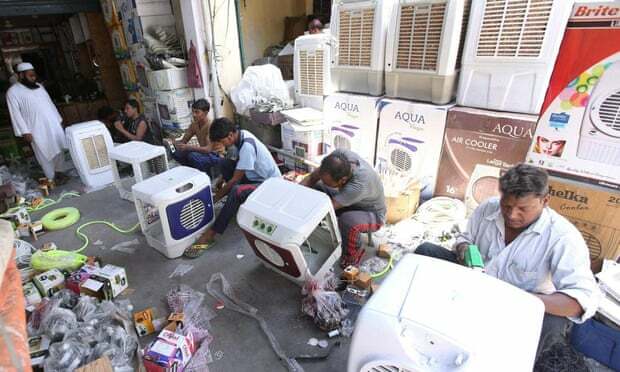 Pictures in the article show people desperate to cool their bodies in the urban heat hell of Indian cities. Really, these are visions of hell on earth. Something out of a disaster movie. I haven’t seen anything on this Indian heat wave in the mainstream news in the US. I imagine it must be hellish living in a third-world slum or shantytown under any conditions, but in 100+ degree heat hell on earth is an apt description. Those contributing the least to the problem suffer the most. In order to keep the Transatlantic Trade and Investment Partnership (TTIP) negotiations alive EU has agreed to drop stricter regulation for pesticides off the table. The article says it happened because of USA’s demand but quite a few off the companies it would have affected are Europe based multinationals. International treaties such as this one are often used to circumvent national legislators who aren’t enough pro-corporation. I hope all the noise coming out of TTIP is just fear mongering because even this case aside the whole deal just reeks of pure evil. The El Nino taking hold across the Pacific strengthened, according to Australia’s Bureau of Meteorology, citing indexes of sea-surfaces temperatures that showed the same trend for the first time since the event in 1997-1998. All five NINO indexes, averaged over the past four weeks, exceeded plus 1 degree Celsius, the bureau said in its fortnightly update on Tuesday. That’s the first time this has occurred since the 1997-1998 El Nino, the bureau said. Australia this month joined the U.S. and Japan in declaring that the first El Nino since 2010 had begun. The 1997-1998 event was the strongest on record, according to the National Oceanic and Atmospheric Administration. The weather patterns can bake parts of Asia, hurting crops from rice to palm oil, while crimping the hurricane season in the Atlantic and bringing more rain across the southern U.S. Please let this lower school weather-awareness person know: Are these “normal” variations in storm cloud temps? I presume this is some “blob” of cold from the arctic. How long might this “jammed Jetstream” last? The arctic is coming apart, I’ll say! What does Dr. Francis say? The long hot summer up north is well underway. Facilities evacuated resulting in 15% cut in overall oilsands production. “North Pole expeditions are going the way of the passenger pigeon,” says Eric Larsen, a Colorado-based polar explorer who has completed three North Pole expeditions. As system nears a tipping point it tends to swing wildly to the extremes , there it gets stuck before swinging rapidly back to the other extreme. Absolutely. It is the same also for human body and some “pre-shock” signals. Russian President Vladimir Putin ordered four days of air combat readiness testing on Monday, the third major military exercise staged by the Kremlin in the past three months. The drills will involve 12,000 troops, 250 aircraft and nearly 700 artillery pieces and other heavy weaponry and include cruise missile strikes at an imaginary enemy target at a Siberian firing range, the Tass news agency reported. The surprise test of the Russian Central Military District’s ability to defend against an air invasion coincides with NATO-led military exercises over the Arctic region that are part of the Western alliance’s response to Russia’s stepped-up maneuvers over the Baltic and Northern European regions. Abstract: We examined the past 23 years of ground-level O3 data and selected meteorological parameters in Houston, Texas, which historically has been one of the most polluted cities in the United States. Both 1-h and 8-h O3 exceedances have been reduced significantly down to single digit yearly occurrences. We also found that the frequency of southerly flow has increased by a factor of ~2.5 over the period 1990–2013, likely suppressing O3 photochemistry and leading to a “cleaner” Houston environment. The sea breeze was enhanced greatly from 1990 to 2013 due to increasing land surface temperatures, increased pressure gradients, and slightly stronger on-shore winds. These patterns driven by climate change produce a strengthening of the sea breeze, which should be a general result at locations worldwide. If one reversed these dynamics, or conditions, it would closely mirror what I saw happening in Santa Barbara, CA and the So, Cal. bight. Such as, increased ocean water temps, less pressure gradients, and weaker on-shore winds. Looking at the arctic.io website link (that Andy provided for us) was very interesting for me today. I am certainly no expert on sea ice and I have no real experience with what it should look like in a satellite image for this time of year BUT, there is a helluva lot of cracks and areas of open water all over and some are quite close to the pole. Even to the uneducated, it just does not look right at all. Delhi’s roads are beginning to flow. 1100 dead and still another week before temps back off. Parts of the electricity grid going into shutdown. Not good. We can file this one under “adaptation”. If it’s clear where you are , the Moon. Jupiter , and Venus are in a perfect line in the Western sky. Yeah, I saw that last night. Nice symmetry. I would remind all our chipmonk views. The Pacific Ocean is the largest feature on Earth. And water moves heat. Also check out the BC coast. Now that we have a very clear view today on the Arctic I noticed an interesting feature. The link points to yesterdays satellite image section over northern Greenland. The upper right outflow has been exceedingly active on water outflow for the past couple of years, tremendously so. If you look inland at the center of the image you will see a circular crater. It looks like it is actively deforming as the sides are crisp and the features are not weathered smooth. Now zoom in and look to the south. You will see semi circular features forming with the crater being at their epicenter. One could almost surmise that the crate is in a growth cycle. And it may make one wonder what changes are occurring underneath to cause this. Perhaps I’m not looking at what you are pointing at, but it looks like a cloud to me. Now that I took a 2nd look I have to agree with you. I must have been too early without enough coffee. No worries. I’m happy to have the good people here like yourself looking out for and reporting these things. Were that an actual crater that would be one heck of an event to say the least. As an amateur observer, clearly I’m no authority on these matters, but I don’t think its beyond the realm of possibility for such an event to occur without notice at some point in the future. To my untrained eye the circular shape looks like depression in the ice sheet surface; maybe a subsidence feature, but it does look like it is filled with low level clouds/mist. What was the cause? It now appears that it might have been the burning of fossil fuel. My 0526 dusk time sky scan saw a new and separate smoke plume higher in the horizon to the N N/W (Aprox. 340 degrees). The smoke from Siberia is low in the horizon to the W N/W (Aprox. 320 degrees). NOAA’s air quality site has surface and vertical dust & smoke rollover maps. The AK vertical smoke map caught my attention. – Air pollution condemns to death over ten thousand – 10k – 1,036 people a day! – The lighter GHG components of AP destroys the climate. They always have. Three-point-seven million people are dying yearly from the effects of polluted air outdoors. Even more – almost four-and-a-third million – can be attributed to the effects of health-damaging indoor air pollution. That’s eight million; up from 7-plus-million as of 2012, according to information provided by the World Health Organization (WHO). That makes this situation a far more urgent one. The attached video speaks all. Man has the potential to become nature become conscious. It is time to act, without reservation and with true abandon. Best to you Eric. Not willing to give up on this one. Can anyone explain what appear to be enormous streaks of dust that run from north to sputh from Amund Ringnes island and Ellef Ringnes island? These are two large islands due north of the northwest passage. The streaks are quite dark and prominent. I am wondering if it is dust, soot or just a camera anomaly. It is most likely tiny fragments of Anhydrite crystals, which have been blown off the top of the salt diapirs on these islands. Anhydrite only has a Moh hardness of 3-3.5, which is less than the hardness of ice crystals at ordinary winter temperatures in these tracts. The elongated streaks of dark particles, you see on the sea ice, may reflect the dominant wind direction from NE during the last major snow storm(s) in the area. That is awesome! Thank you very much dnem! Pro Publica is initiating a new series on water in the West. I found it worth the time it took to read the first article, mostly about the absurdity of growing cotton in a desert. The Lake Mead Elevation Mystery…. solved? Here’s a compelling conjecture on what made the Lake Mead water-data.com elevation data jump so madly. It were da Ruskies! Ray again. This explanation of the data mess does seem more plausible than either an unannounced inrush of water into Las Vegas’s third straw, or as a result of a minor earthquake in the region. Case closed? Maybe. Maybe not. Looking at the NSIDC maps of sea ice extent it seems possible that the arctic sea ice melt off the east coast of Greenland could be masked by a melt of land-based ice followed by a re-freeze out at sea, due to the higher freezing temperature of fresh water vs. sea water, such as is seen in Antarctica during its summer. This would mean that the relatively normal extent seen off E. Greenland presently could indicate more melting than is immediately apparent. It would also tie in with the anomalously cold patch of ocean in the North Atlantic off south-east Greenland, assuming that is also caused by melt water run-off from the Greenland ice sheet. I think you are probably right, I can’t remember the current discharge rate, but its enough to start messing with the Gulf stream, according to recent reports. I always look for Greenland on the anomaly charts I see, these days. Whilst Fairbanks, Alaska reached 30C on Saturday, Phoenix, Arizona managed a mere 28C. Even Bettles, a town to the north of Fairbanks and within the Arctic Circle, recorded 28C. The forecast high for Fairbanks (89 degrees) is warmer than in Phoenix, Arizona for Saturday (84 degrees). We’ve popped below -2 std deviation for extent. That decline rate is shadowing 2012. But we are in deeper than we were then. 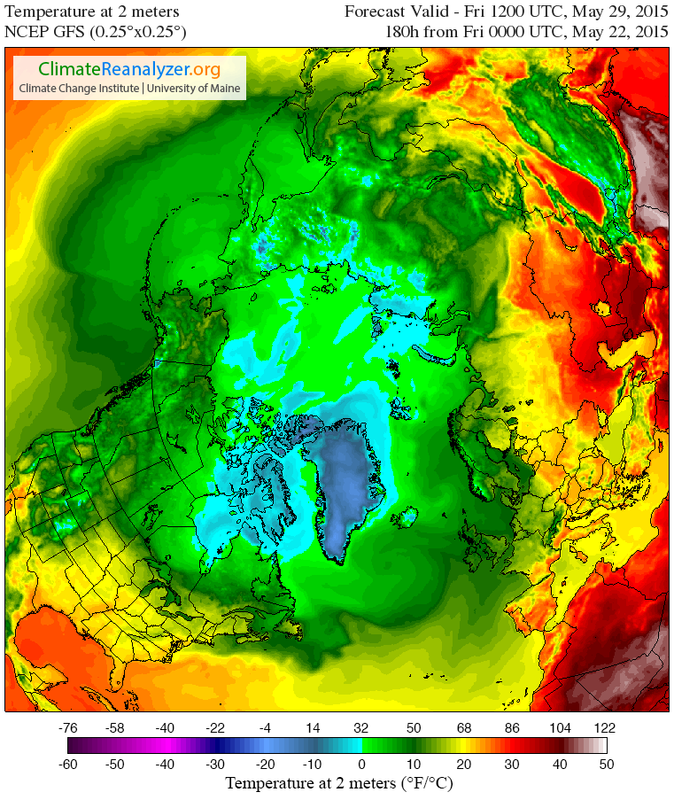 So it’s central Arctic melt we see early now. note: You may need to toggle MODIS True Color to enable the satellite overlay on the google map. Another one just to the north of YellowKnife. I see a total of 9 forest fires between Yukon & NWT. And it’s still only May. “More heat waves were expected as globally temperatures have risen by an average .8 degrees in the past 100 years. Night-time temperatures are rising too, with Ahmedabad and Delhi recently reporting 39 and 36 degrees centigrade respectively. The number of heat wave days may go up from about 5 to between 30 and 40 every year,” said a statement by the Delhi-based green advocacy and research body. Large areas north of Lubbock have received over 8 to 10 inches of rain in last 48 hours. So in just 11 years we set another all time monthly record for Rainfall in Texas by well over an one inch, and in the middle of that there was the hottest driest summer on record. As the system nears the tipping point it tends to swing to the extremes. There it gets stuck, before wildly swinging back to the other extreme. That town needs a name change! With shifting baselines, there already are a generations of humans (and non-humans!) who have grown up not knowing anything else. Stories have it that westbound pioneers caught fish by dipping a hat into a stream. Even in our times, people carried firearms on board commercial passenger aircraft and stowed them in overhead bins, no questions asked. Future generations may consider “hell” to be “normal”. “John W. Nielsen-Gammon, Texas’ state climatologist and a professor at Texas A & M University, said that Texas weather was heavily influenced by long-term weather phenomena, including El Niño and natural variations of temperatures in both the Atlantic and Pacific oceans. Note in particular that last sentence, which basically says, hey, nothing to worry about for a long time. It has absolutely been ridiculous. Should have read through these comments before posting my most recent. Best to all. Oops, the last comment referred to Bob’s previous Shallowater post!